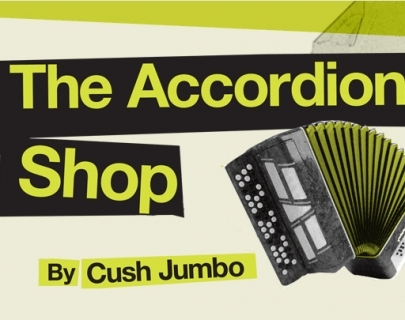 Warwick Arts Centre Senior Youth Theatre Group presents The Accordion Shop, a new play by Cush Jumbo. Mister Ellody has quietly kept his accordion shop going on his local high street for generations. Cush Jumbo is an award-winning actress and writer. Cush was nominated for an Olivier Award in 2014 for Outstanding Achievement in Affiliate Theatre for Josephine and I which she wrote and performed to rave reviews at the Bush Theatre. Cush won the award for Best Actress at The Manchester Theatre Awards 2014 for her performance as Nora in A Doll’s House at The Royal Exchange. 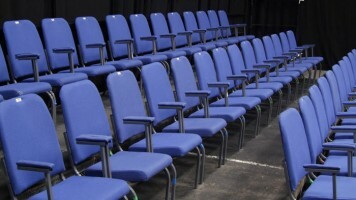 Prior to this Cush was nominated for an Olivier Award for her performance as Mark Antony in Julius Caesar at The Donmar Warehouse, and was awarded the prestigious Ian Charleson Award 2012 for her performance as the Shakespearean heroine Rosalind in Greg Hersov’s production of As You Like It at the Royal Exchange Theatre, Manchester.